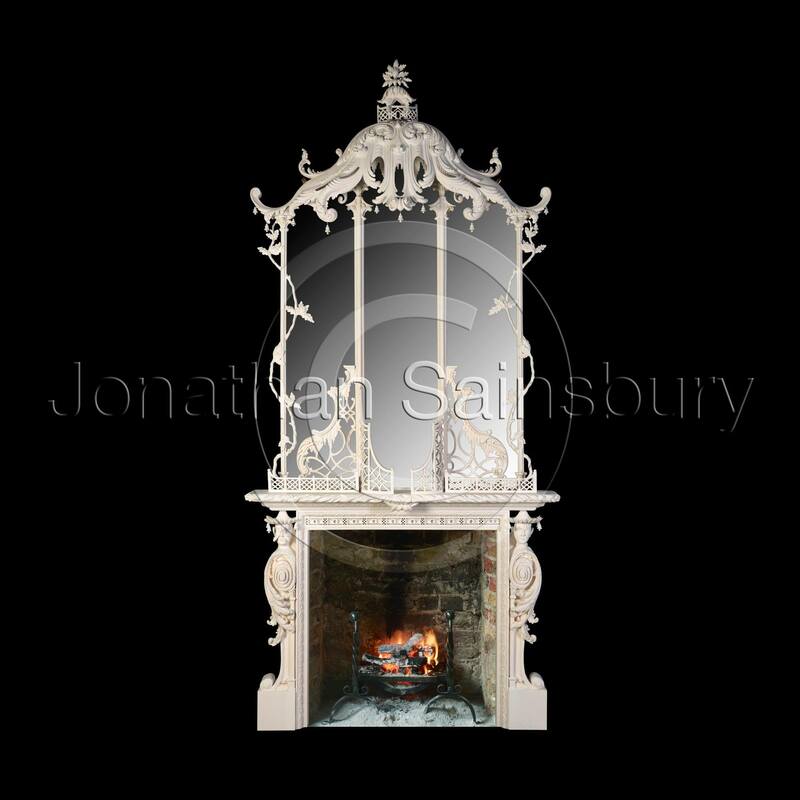 An exceptional carved chimney piece with mirror above, inspired by the Chinese Room of Claydon. The elaborate carved decoration following the style of Luke Lightfoot in the Chinoiserie taste, a term used to express the frivolous Chinese style of decoration that enjoyed a tremendous vogue throughout Europe in the mid 18th Century. The mirror takes the form of a Chinese fretwork tea house with overhanging eaves trimmed with icicles, bells and exuberant Rococo decoration. The front and sides embowered by clambering vines. The chimney piece flanked by oriental busts supporting the mantel. Can be made to work with clients own dimensions.